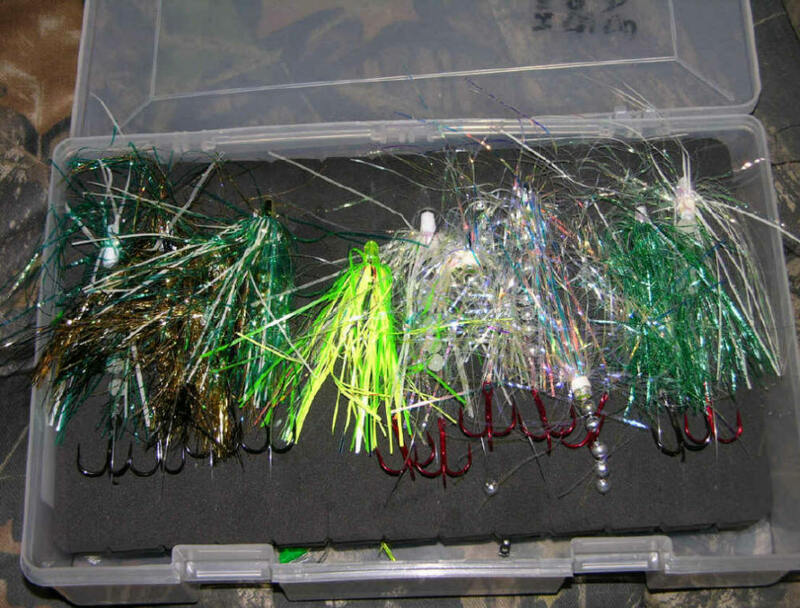 meat rigs, or trolling flies once & for all! This truly unique product that solves the storage tangling issues with meat rigs. 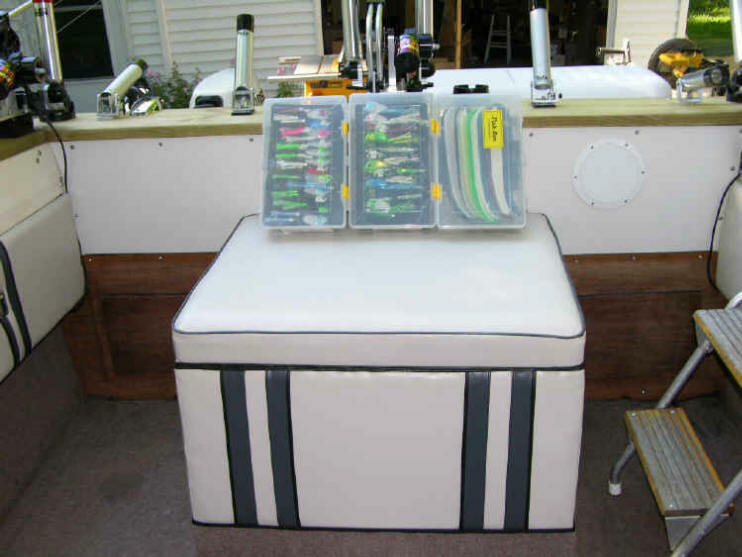 You can fit 24 meat rigs, or trolling flies in each box, easily! Just turn one upside down and the other one with the rigs facing up. 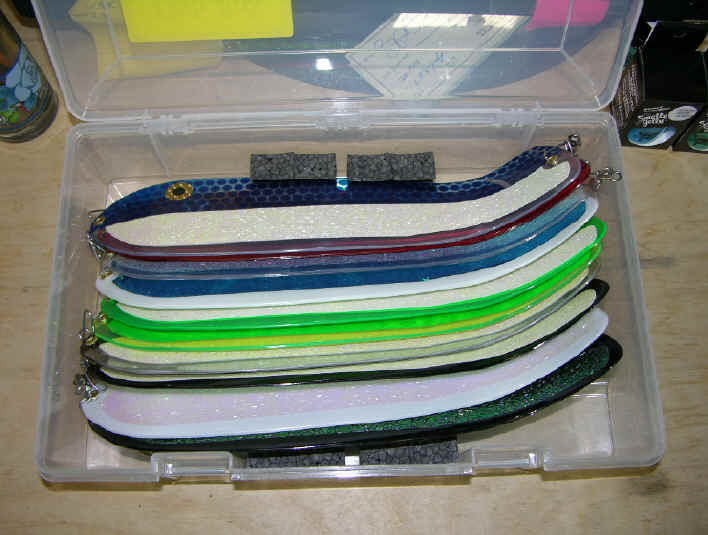 This keeps the double snelled trebles for catching line on the back of the patented leader cards. 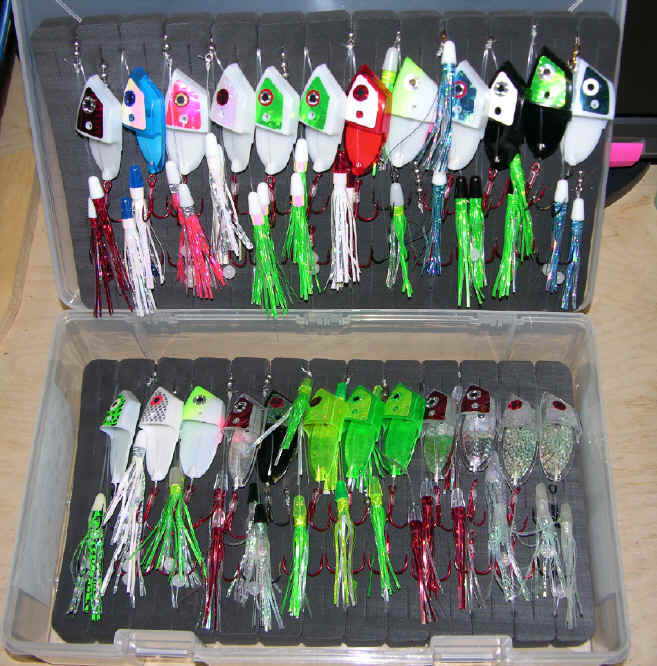 This is your source for pro-grade American made tackle to fish meat (herring, smelt, alewives, fish belly meat, etc.). 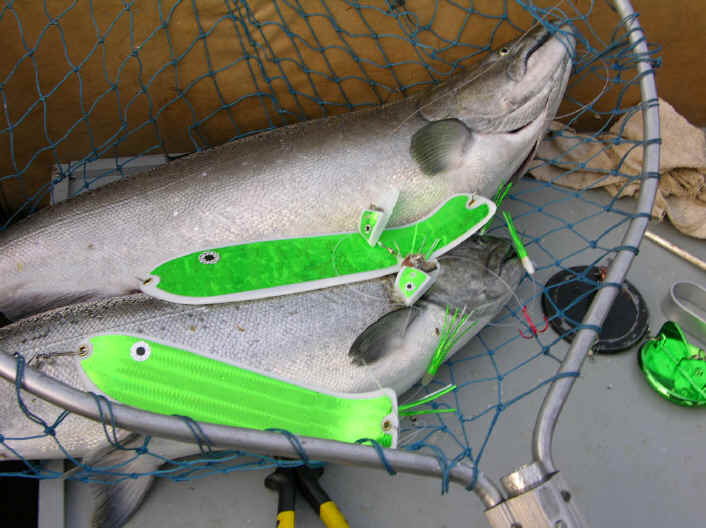 Bait while viewed by many as new to catching fish, especially Salmon on the Great Lakes. 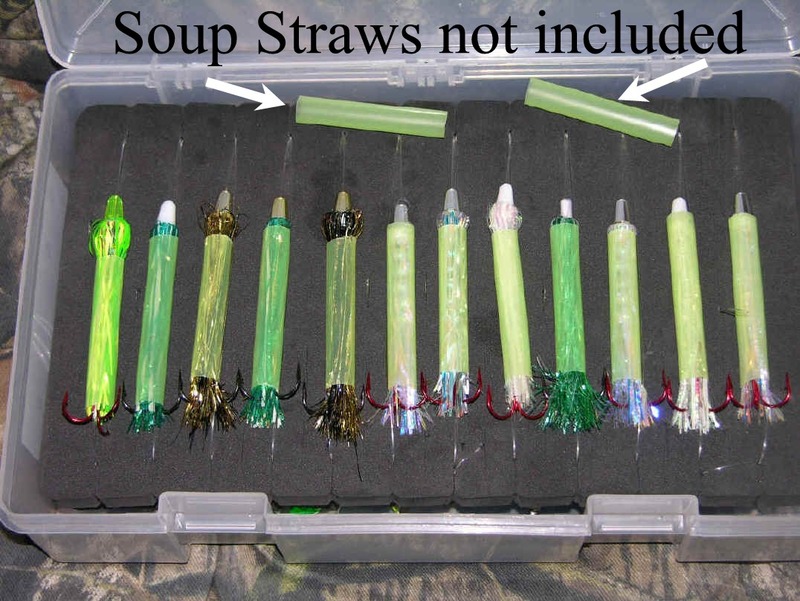 In fact, bait pre-dates all other methods by a wide margin. This website is not a clone of the other less imaginative websites with questionable principles, pushing inferior designed foreign meat products to "cash in" on my knowledge base. And what I'm constantly bringing to the forefront of the Lk. Michigan fishing scene. If you want the best?..... you'll find it here! 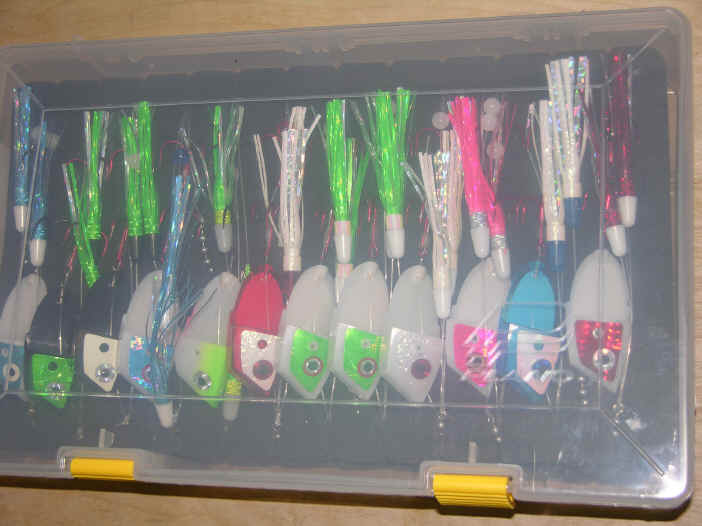 My credentials of fishing the Great Lakes since 1968 & over 20 years as a full time, year-around Great Lakes Charter Skipper & guide on the Big Manistee River speak for themselves, as do my products! This 2 banger could have been have been missed, ...if not for the double-deadly tandem treble hooks. Sure it's more costly & time consuming to produce, but as they say, 1 picture is worth a more then 1000 words! Double snelled turned-up eye trebles is my original idea, invented to cut down on missed hits!